Snowdance Condo in Keystone CO Real Estate is located steps from the serene banks of the Snake River in Keystone, Colorado. The complex is a short walk to the Mountain House and Keystone Ski Resort base area. Snowdance Condo is a great property to own if you love to bike, jog or run as right out your front door is the Summit County bike path. Built in 1976, there are a total of 40 units within in three buildings (A, B and C). There are 6 – one bedrooms, and 34 – two bedroom units. The one bedrooms are 652 square feet in size while the two bedroom units range in size from 838 – 1008 square feet. When looking for an affordable condo for sale in Keystone CO, Snowdance Condo are a must see. The complex has an indoor common hot tub for guest and owner use, surface parking and exterior entrances to each individual unit. Some of the units have amazing Snake River and Keystone Ski Resort views which can be enjoyed on the spacious decks. 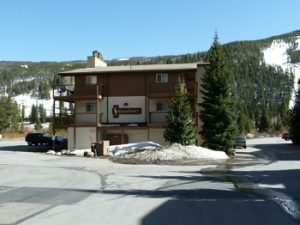 Snowdance Condo is within steps of several restaurants and bars in Keystone, Colorado such as The Goat, Pizza 101, Black Bear Grill and Dos Locos to name a few. For those who like to venture a bit further, River Run Village is less than a 10 minute walk from your Snowdance Condo. Arrange a showing of the condos for sale in Snowdance Condo in Keystone Real Estate today.